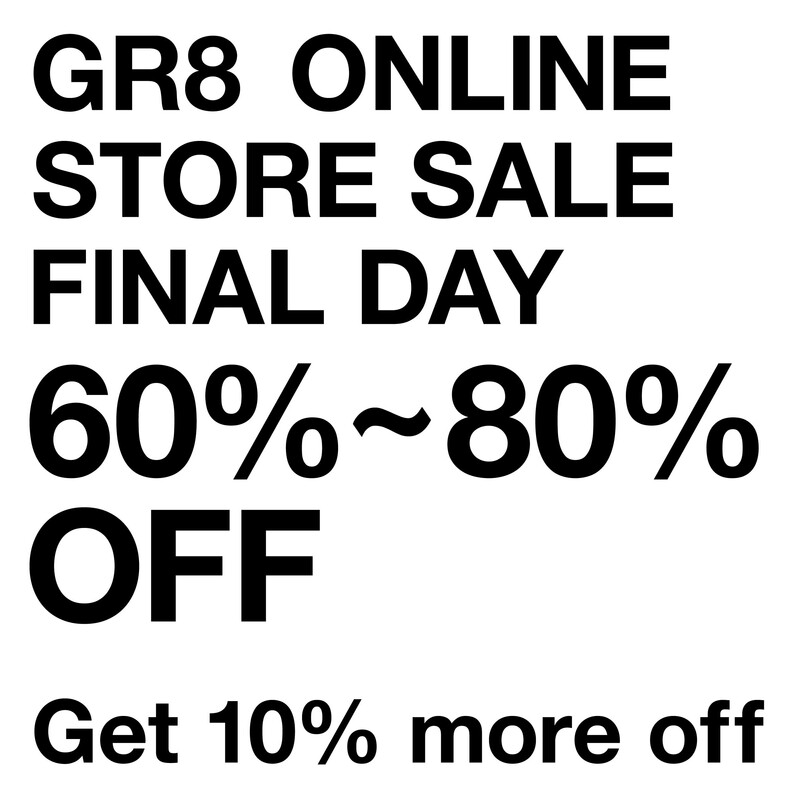 Enjoy the special GR8 Tokyo Online Store Sale. Up to 80% OFF select stock including the latest FW18 collections. -No cancelation/refund/edit/additional order once the order is confirmed. -Prices may be changed at any time without further notice and are not guaranteed. -Sale price and the price tag amount may differ. -We cannot reply to any inquiries regarding re-stock, or a price change. -Online products cannot be purchased and picked up in-store. -If our online store server is under heavy load, please try again later. -The products will be on first-come-first-served basis.